The LeadingAge Connecticut EXPO is designed specifically for management level professionals. You will be able to effectively market your products and services directly to your target audience. EXPO puts your name in front of LeadingAge Connecticut member organizations that spend millions annually on goods, services, administration and construction for care, services and housing for older adults. Our tradeshow room is very comfortable with natural light and is very spacious. What if You Were An EXPO Grand Sponsor for $2,500? 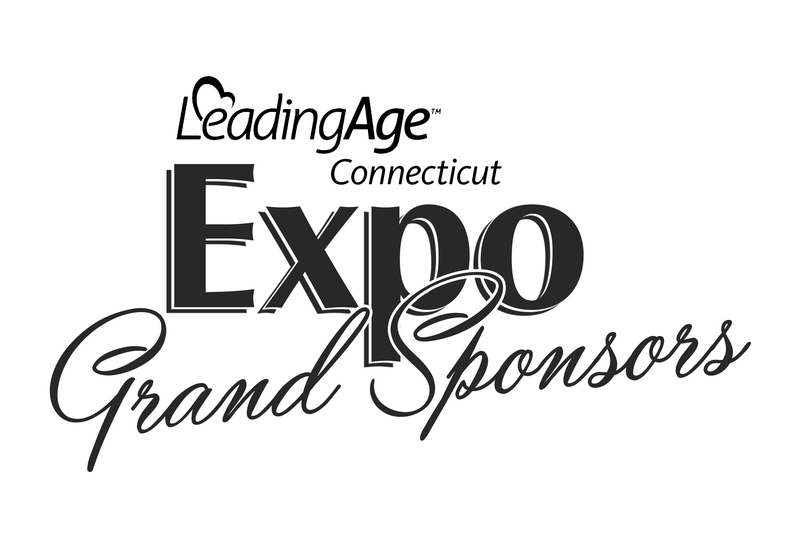 LeadingAge Connecticut has created the EXPO Grand sponsorship that not only brings a higher level of exposure to all of the EXPO sponsors but also includes pre-EXPO promotion and participation in the day’s activities as well. EXPO Food Sponsorship – Includes multiple signage of EXPO Grand Sponsor logos sponsoring the Attendee Breakfast, Luncheon and Refreshments at the EXPO. The entire day! EXPO Attendee List – A copy of a preliminary attendee contact list to be sent one week prior to the EXPO and a finalized attendee contact list will be sent post event. Please contact Andrea Bellofiore at [email protected] or 203-678-4477 if interested in exhibiting or sponsoring at the 2019 LeadingAge Connecticut EXPO.